Russell Westbrook has been pain-free but the All-Star point guard will now be out again as he had another surgery on the right knee that was injured last spring during the playoffs. Thunder general manager Sam Presti said Westbrook will be out until at least the All-Star break. "This is part of the reality of sports," Presti said. "We’re dealing with the fact that this is part of the recovery process. The way we were treating wasn’t sustainable," Presti said. Presti said Westbrook’s initial injury required motoring and "On the most recent MRI it was determined by the surgeon that there was an area of concern that had not previously existed, nor was detectable in the previous procedures, and it was necessary to evaluate Russell further.has been playing." Westbrook missed all but two games of the playoffs a season ago. He was initially expected to be out until about Christmas. 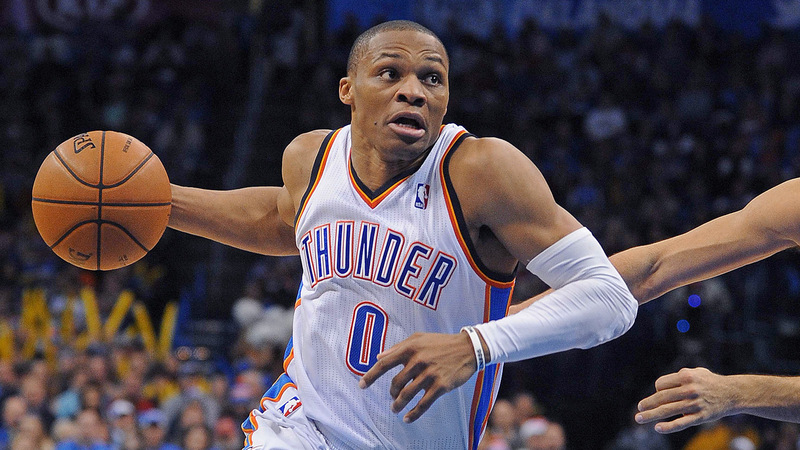 However, Westbrook returned after missing just the first two games of the year. Presti said Westbrook did not return too early. "Russell has been playing pain-free and I think he’s playing the best basketball he has played," Presti said. Westbrook had a triple-double on Christmas Day against the Knicks and has helped the Thunder to a 23-5 record. Westbrook is averaging 21.3 points, 7.0 assists and 6.0 rebounds per game. His triple-double Wednesday came in 29 minutes. Similar to the initial injury, Presti was hesitant to give a specific timeline for when Westbrook would come back, saying it would be sometime after the All-Star break. Westbrook was not available for comment Friday. "Most importantly dis for russell. He’s an incredible competitionr and it’s difficult for him but the health of our players is first and foremost for our players. "I expect us to improve from this adversity," Presti said. The injury means Reggie Jackson will become the starter and could mean increased minutes for Derek Fisher and Jeremy Lamb. Presti said the team has not considered, at this point, making a trade for another point guard. "It’s fair to say it’s unexpected and it’s also the situation that we’re presented with," Presti said. "The way we’re going to deal with it is manage it the best we can. "I’m most disappointed for Russell because of how much he loves to play."